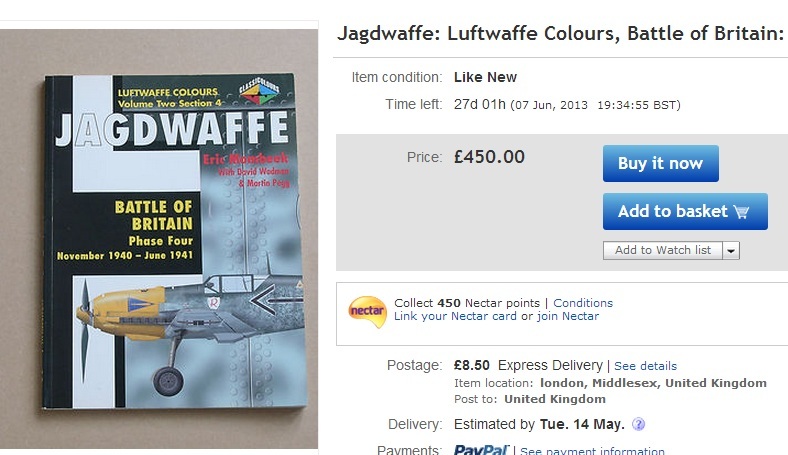 FalkeEins - the Luftwaffe blog: Rare Luftwaffe books on Ebay; JAPO Luftwaffe over Czech territory 1945, Jagdwaffe - Luftwaffe Colours - Nachtjäger vol.1 - Nachtjäger - SUPER RARE OOP! 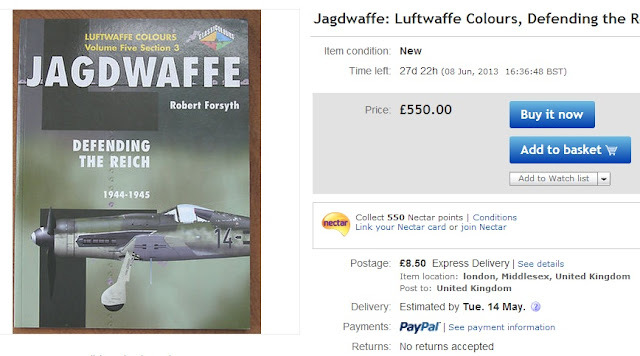 Rare Luftwaffe books on Ebay; JAPO Luftwaffe over Czech territory 1945, Jagdwaffe - Luftwaffe Colours - Nachtjäger vol.1 - Nachtjäger - SUPER RARE OOP! 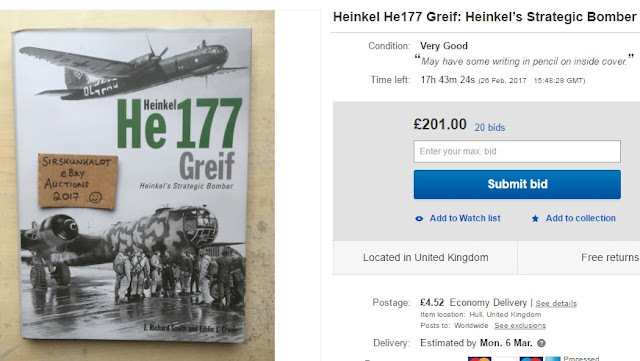 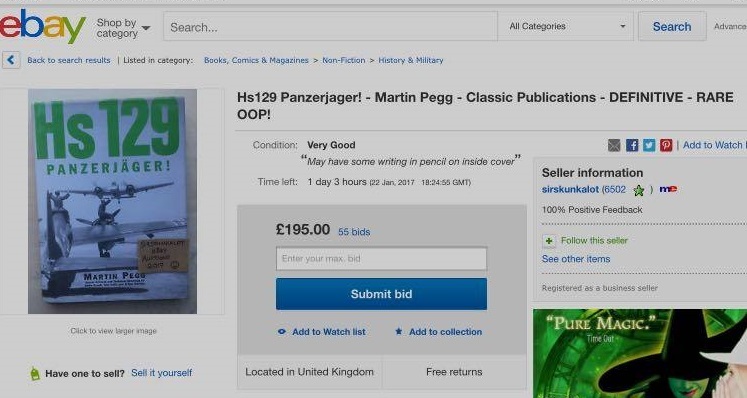 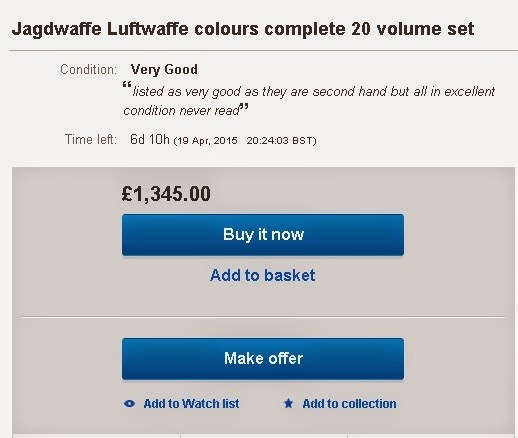 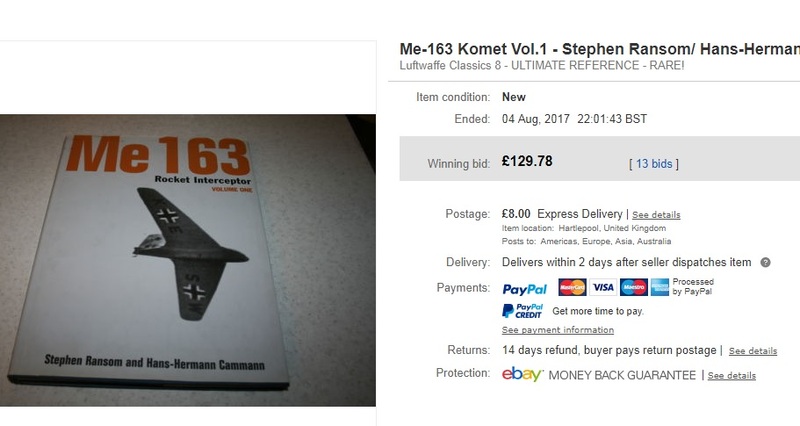 A new contender for 'most expensive Luftwaffe book ever ' - or just how to lose control during an ebay bidding war. 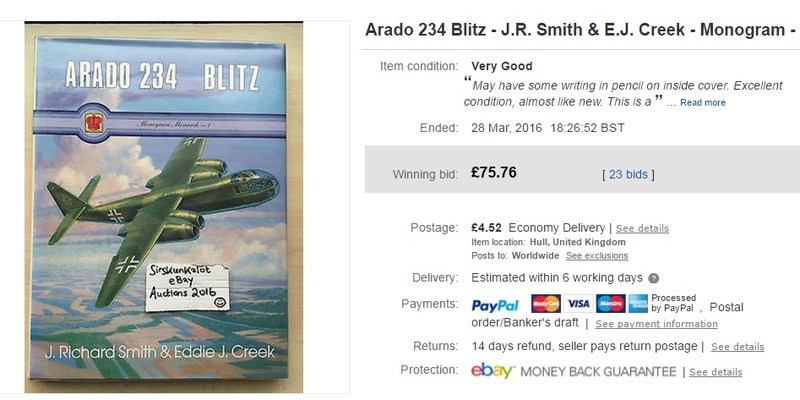 Of course what Robert doesn't say here is that he largely rewrote the text of the "JV 44 " book for Osprey in their Elite series... and that some of the original "JV 44" content appeared in a 'special' US edition entitled 'Battle for Bavaria - B-26 vs the German jets April 1945'. 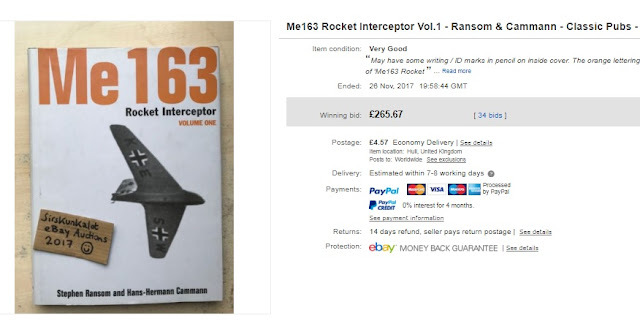 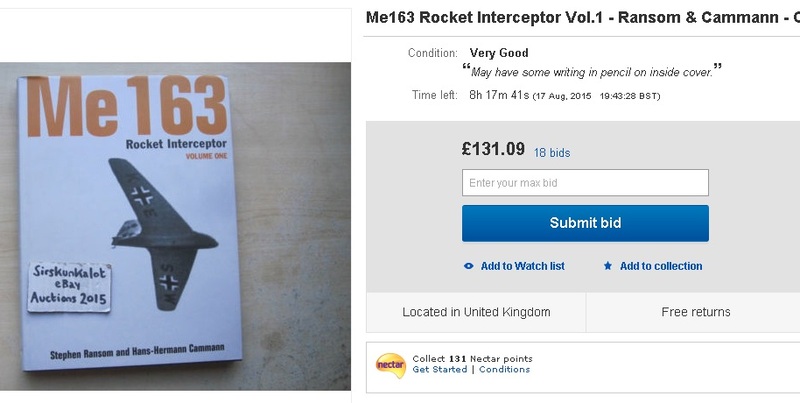 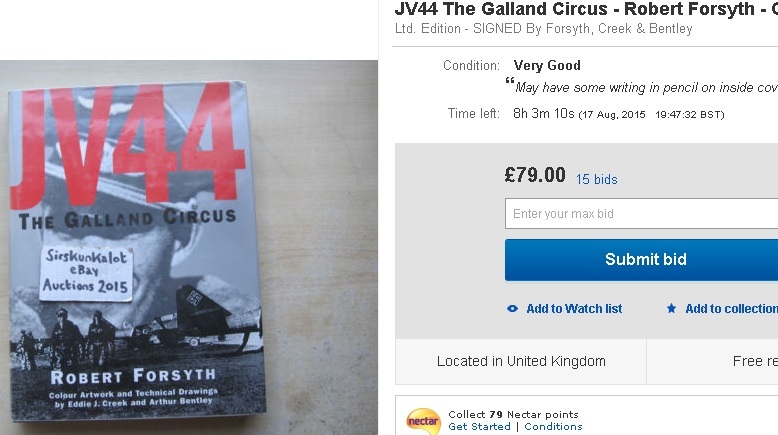 Some sellers are now starting sales of "JV 44" at £149...and far from wanting to 'demonize' him, all credit to skunkalot who always starts all his auctions at £0.99 - he can hardly be accused of ripping people off after all, quite the opposite, everyone has a chance to get a bid on! A complete set of the classic Jagdwaffe colours books, all twenty volumes - a snip at £1,345 !! ..and possibly a bargain given that some sellers are prepared to ask up to £450 for individual volumes..